we ordered green pork curry and chicken satay. i also had the thai iced tea. the food and iced tea was good. the curry was a little bit sweet though. I liked the peanut sauce for the satay, except that it didn’t came with cucumbers and tomatoes which i like to munch on as side dish. the value for the food was ok too. our total bill was around Php 300.00. the free wi-fi was definitely a plus. at first, we thought it was an expensive restaurant. but they offered meals which are cheap, but tasted good. the selection of food were also not your usual menu. meals come in budget and big sizes. 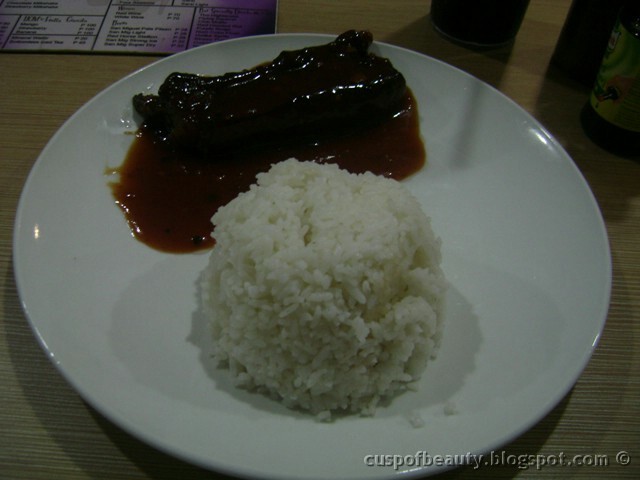 for viands, it comes with free rice, while for burger, it comes with free fries. 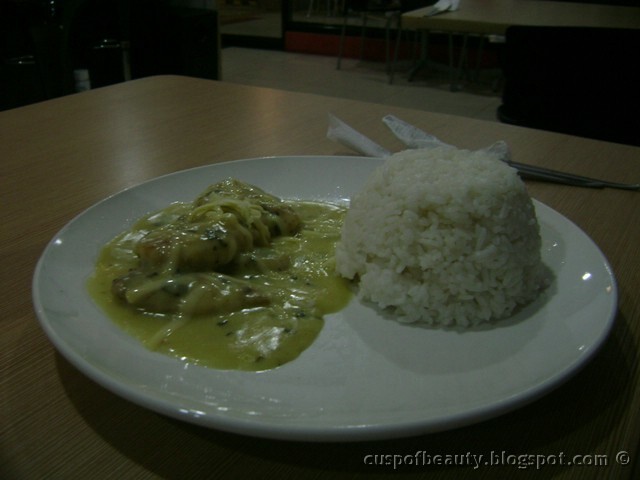 junjun ordered the honey glazed pork liempo, while i chose fish fillet florentine. 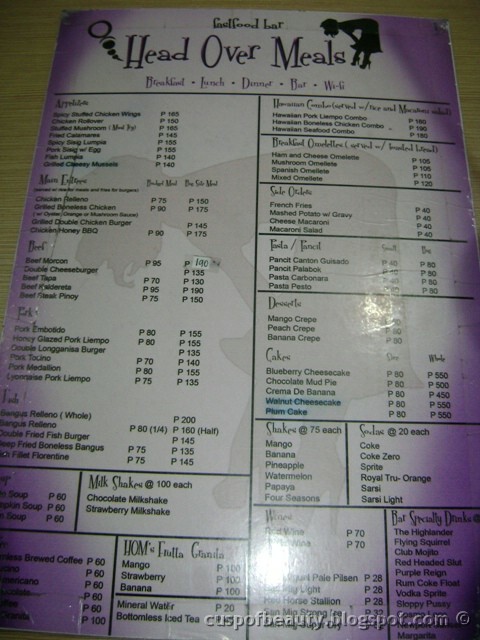 we also ordered two glasses of softdrinks which caused Php 20.00 each. overall, this is a good place to go to if you are on a tight budget and you want to steer away from your usual fried chicken and rice. for our dinner yesterday, we went to Madison Square along Pioneer St. Junjun & I opted to eat at a place called “Sonsi.” According to the server, their specialties are the longganisa. They had different variants of it: alaminos, vigan, tuguegarao, lucban, and cabanatuan.